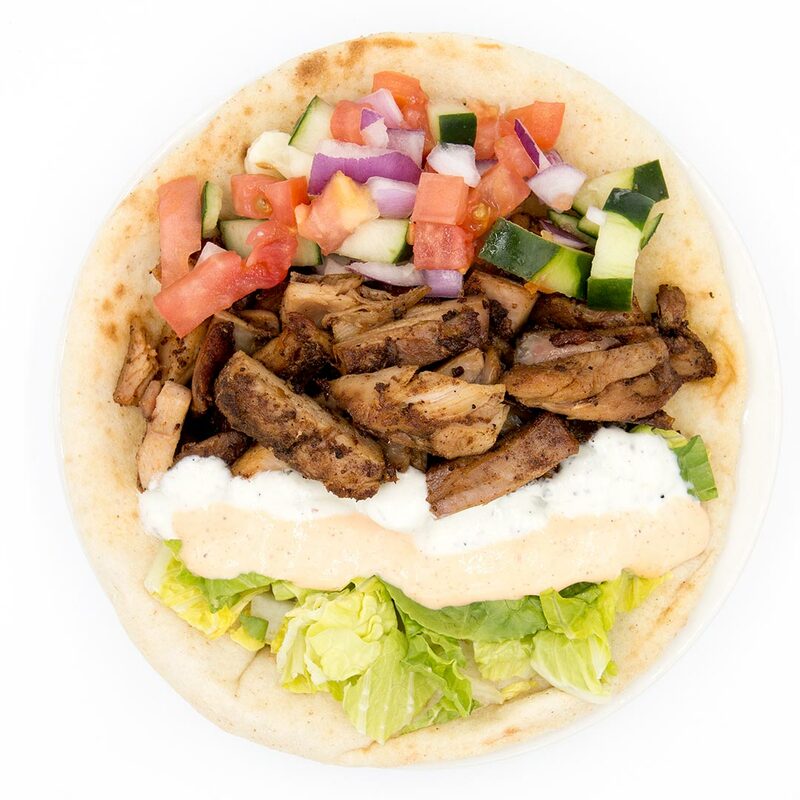 This post is all about our Chicken Gyro and what makes it so special. Made popular by the ‘Chicken n’ Rice’ craze started by street carts, Chicken Gyro/ Shawarma has become tasty part of the dining landscape. Starts with high quality boneless chicken thighs. Trim and Clean all the undesirable bits. Skewer the thighs on the broiler skewer, create a huge vertical stack. Plate as: platter, salad, or sandwich! Sandwich w/ veggies yogurt sauce and garlic mayo! 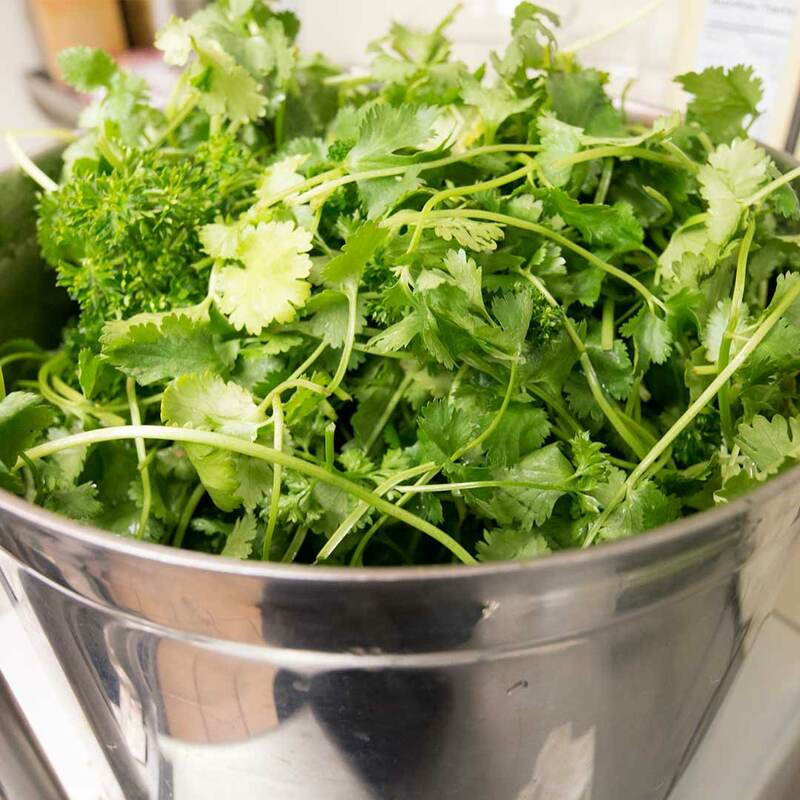 A lot of care goes into each step to make our Chicken Gyro. From the marinade to wrapping each sandwich. The delight is amplified by the use of our yogurt sauce! If you need serious kick try our hot sauce (made in house). 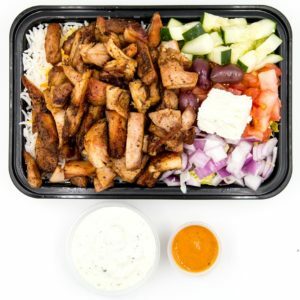 For 10 Minute Pickup or Delivery! 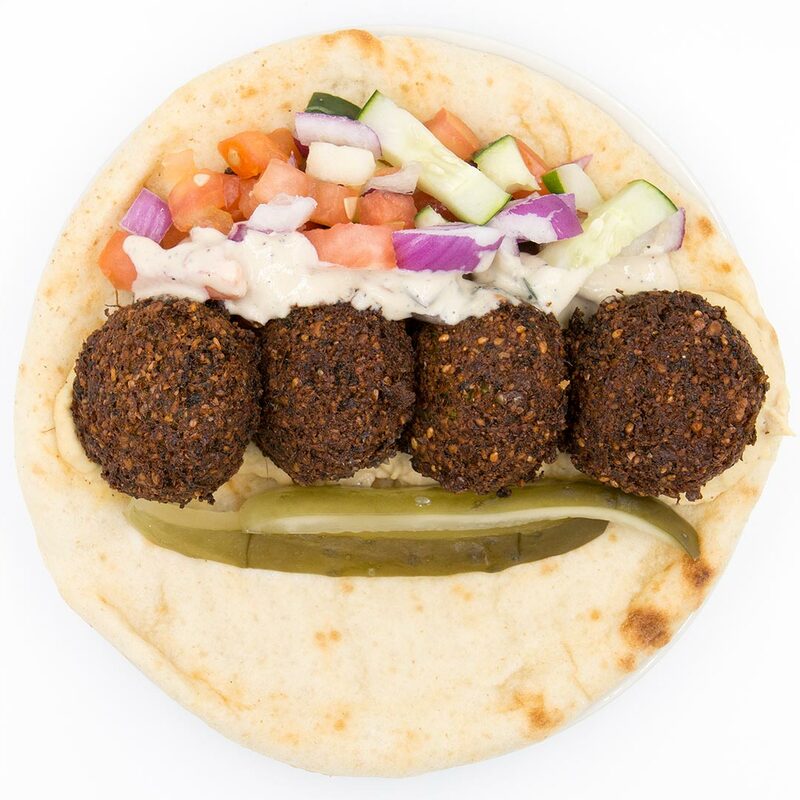 Our Falafel game is solid. 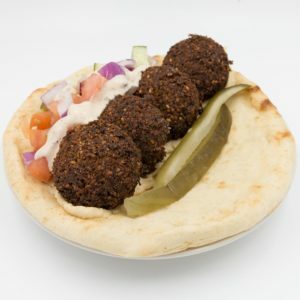 In this post I will go over the key points so that YOU TOO can judge what makes falafel great. 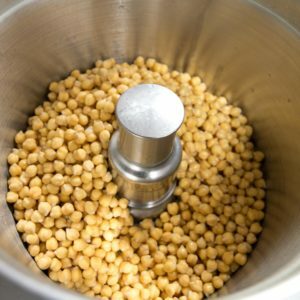 A lot of places buy falafel mix , dry powdered chickpea with dry spices mixed in…just ad water. Same difference right? Nope. 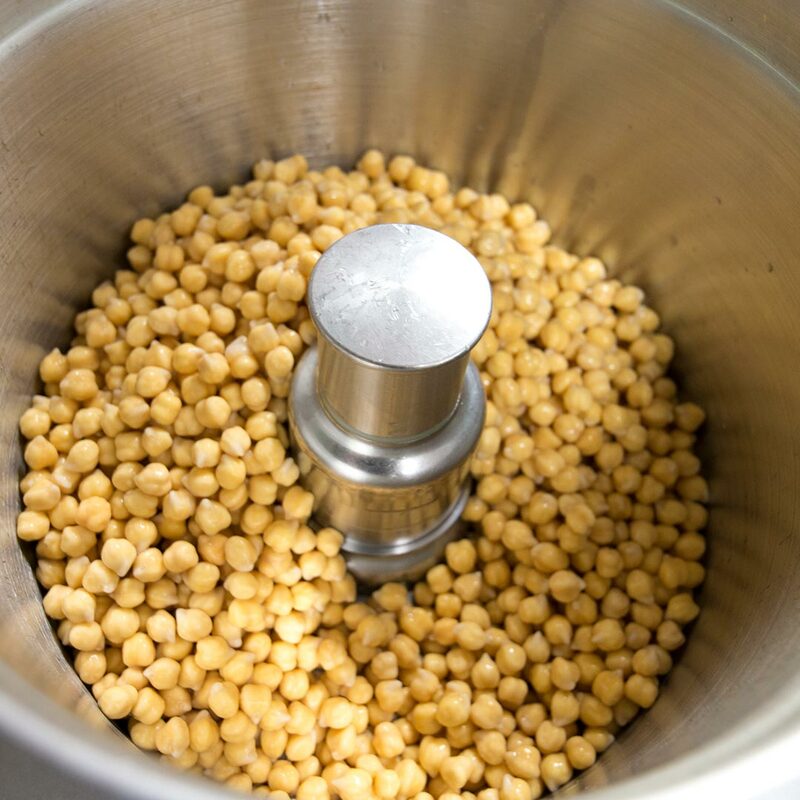 We start with whole dry chickpeas (garbanzo beans) and soak them in water over night. 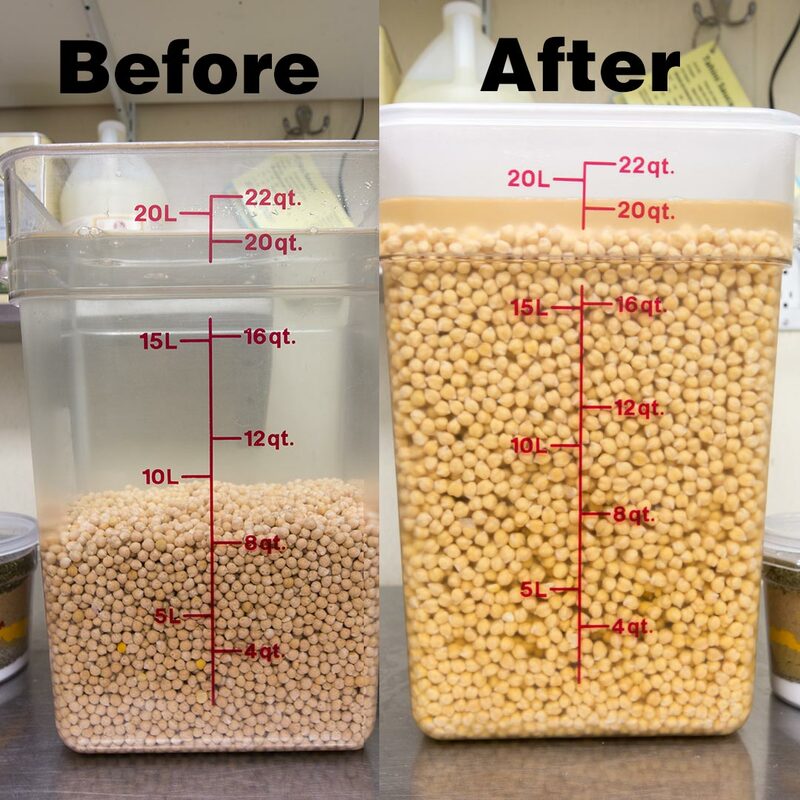 When the chickpeas soak up the water, something very important happens: The plant cells of chickpeas fill with water. Cells that are full of water, don’t absorb oil, hence no greasy falafels! Fun Fact: Dry chickpeas come in big 50 lb sacks. Carrying them makes you feel like an old world farm hand or a strong man doing strongman stuff. 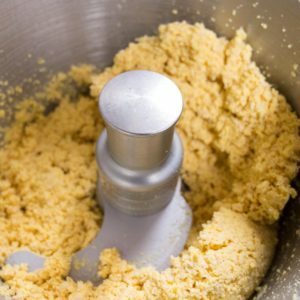 We grind the soaked chickpeas in a powerful food processor. Fresh Parsley, Cilantro, Onion, Garlic along with a long list of spices are blended into a lovely green smoothie. The blended herbs and spices are mixed into the ground chickpeas. Sesame Seeds are added and the falafel mix is ready to fry! 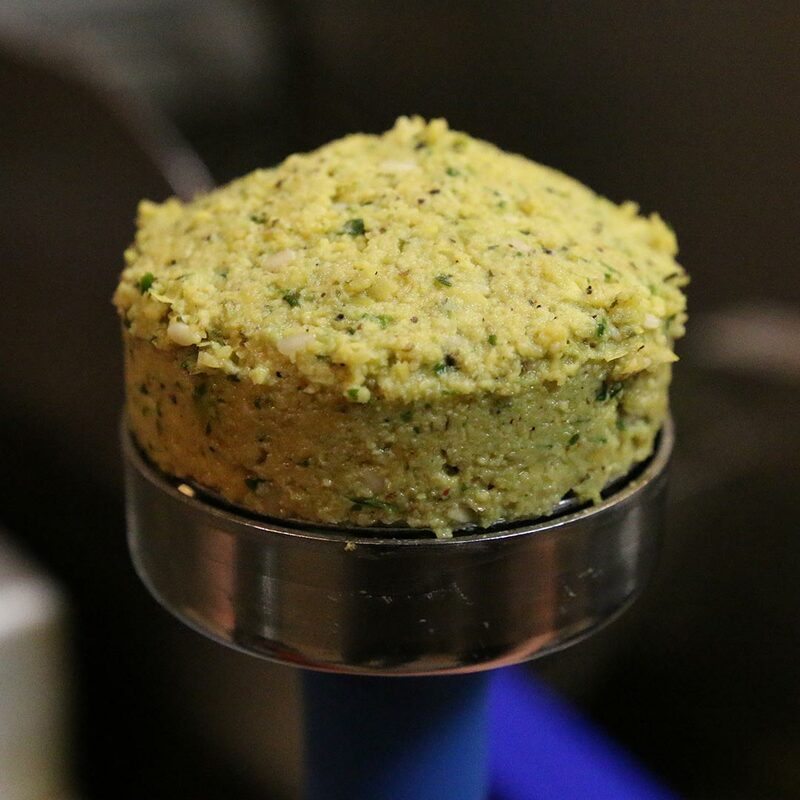 We use top notch German-Engineered falafel scoops. You know the Germans always make great stuff. The scoops produce perfectly shaped falafel balls. Shape is very important. Balls or spheres would leave the center under cooked. Flat disks make for a dry and hard falafel puck. What you want is fat, rounded disk shaped falafel that is optimal for cooking. 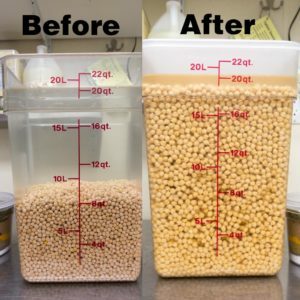 Remember that the chickpeas were soaked before grinding so the cells of the chickpeas are occupied by water, this keeps oil OUT. The result is a falafel that fries up nice and crispy, remains fluffy inside, and not the least bit oily. 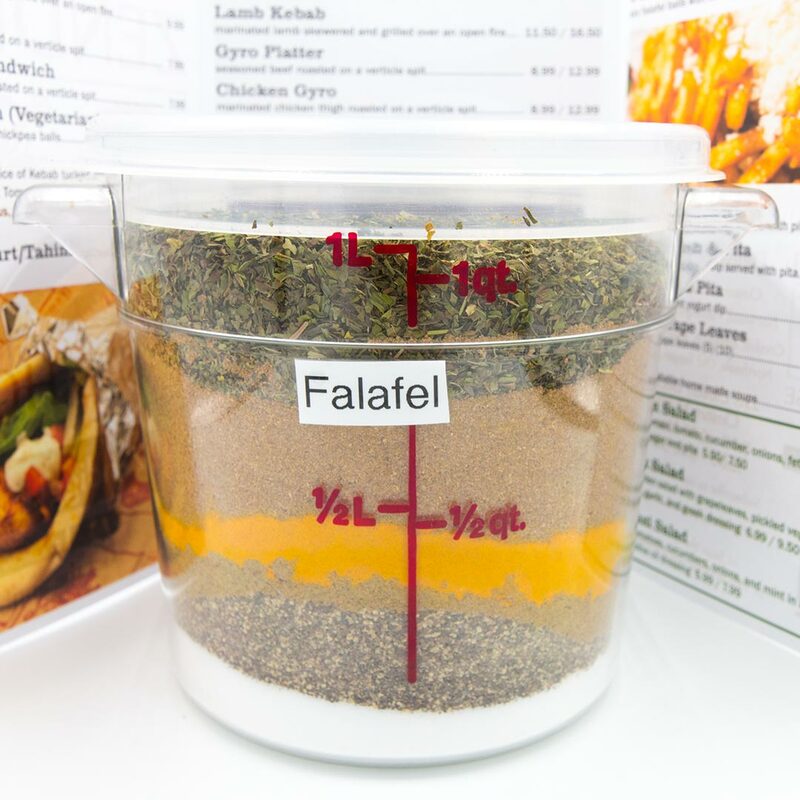 Get your falafels your favorite way. Sandwich, Platter, Salad, 50/50 or just a side of falafels with a side of Tahini Sauce for dipping. If you would like to enjoy one of our falafel dishes visit Zendiggi and enjoy our Table Service or Order Online! The Best Gym Food Ever? Zendiggi makes some of the best post workout food available. 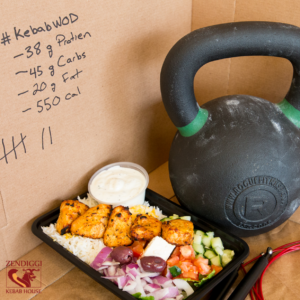 After crushing a workout how better to recover than with a clean, high protein meal, made to order in 10 minutes. We seriously delivery the goods. Our proteins (beef / chicken / lamb/ etc.) are marinated over night and cooked to order in 10 minutes. 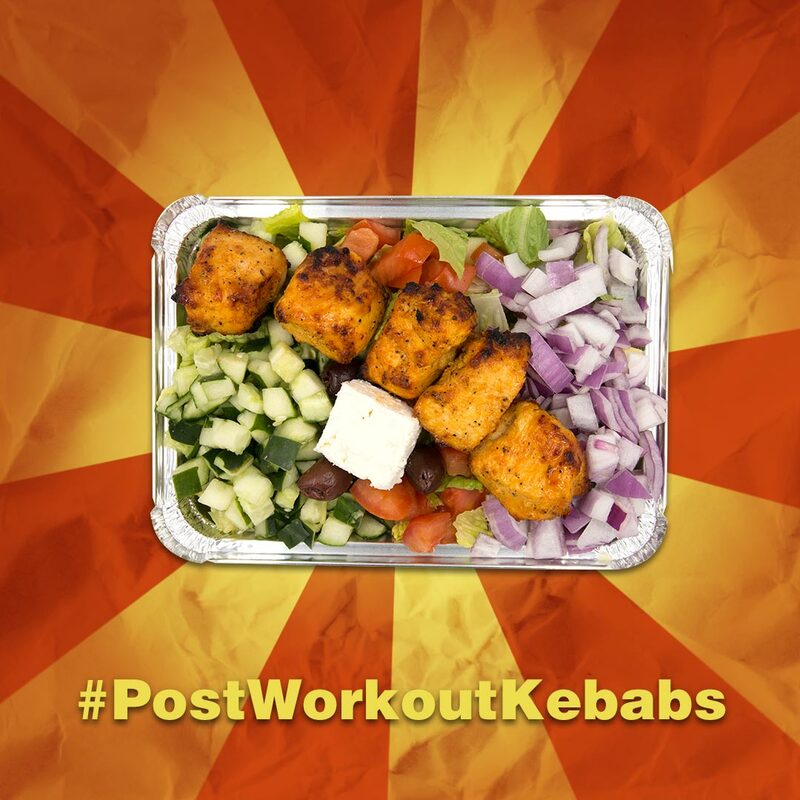 Each skewer of kebab has about 27 g. of protein. 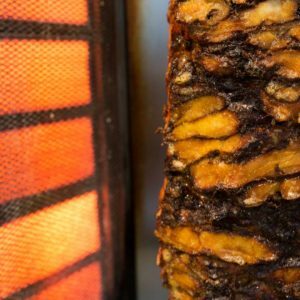 The cooking method (open fire char broiler) results in a kebab that is lean as possible. If you are looking for slow digesting carbs (low glycemic index) look no further. Our rice, corner stone of every dish, is no ordinary rice. Long Grain Basmati Rice might be white, but its glycemic index is similar to that of brown rice, making it have a slow release effect on blood sugar. We also have Whole Wheat Pita Bread available with our hummus and salads. Our Yogurt and feta cheese is made from whole milk. In all our marinades, dips and sauces we use Olive Oil. Take your kebab with a hearty salad. Lettuce, tomato, cucumber, onion, feta & olives. This post is all about “Stew” aka Khoresht. Stew (Khoresht – its fun to pronounce) is a big part of Persian Cuisine. A Stew is not a chunky soup…Not for us it ain’t. 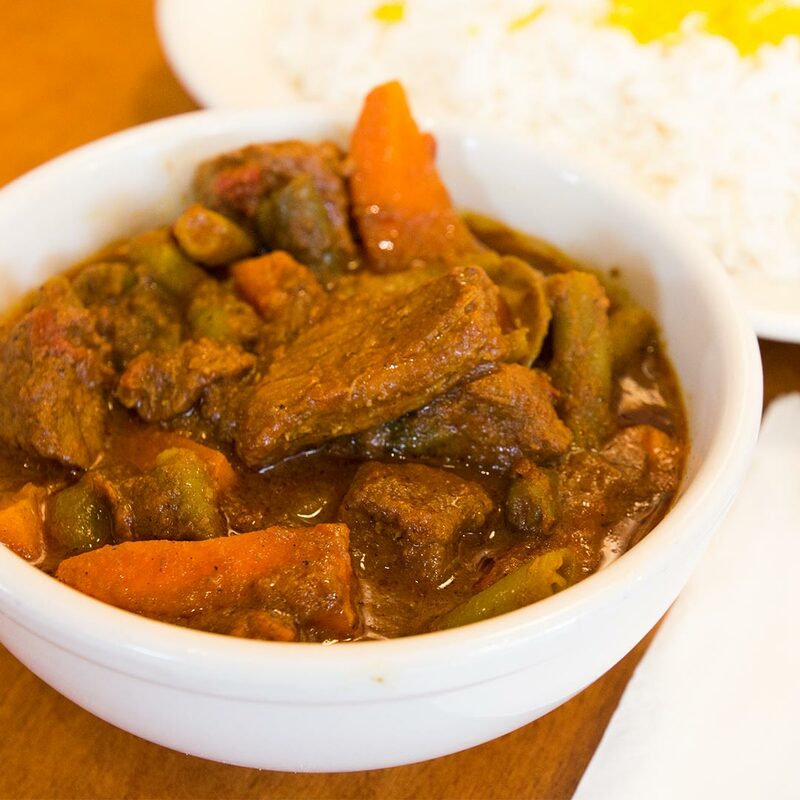 Stews in middle eastern cooking are a savory slow cooked mixture of seasoned meat and vegetables. A Stew is served with rice and eaten by combining the stew with the rice, bite by bite. Advanced connoisseurs, take their stews with a quartered raw onion. Spoon some Khoresht NEXT to your rice. Now scoop up the perfect balance of rice and stew by scooping from the border region between the rice and stew. Follow up with a little bite of fresh raw onion (this ads a fresh punch). This step is optional but encouraged. Repeat 1-4 until utterly satisfied. Spoons are the MAIN eating utensil. Forks are used for pushing food onto the spoon. Don’t be a Barbarian. Don’t be a weeny and knock the raw onion until you try it. After you try it, you can be a weeny. We make stews as specials. One pot at a time. They are available until they sold out… We have a devout following of stew lovers that scoop them up quickly. 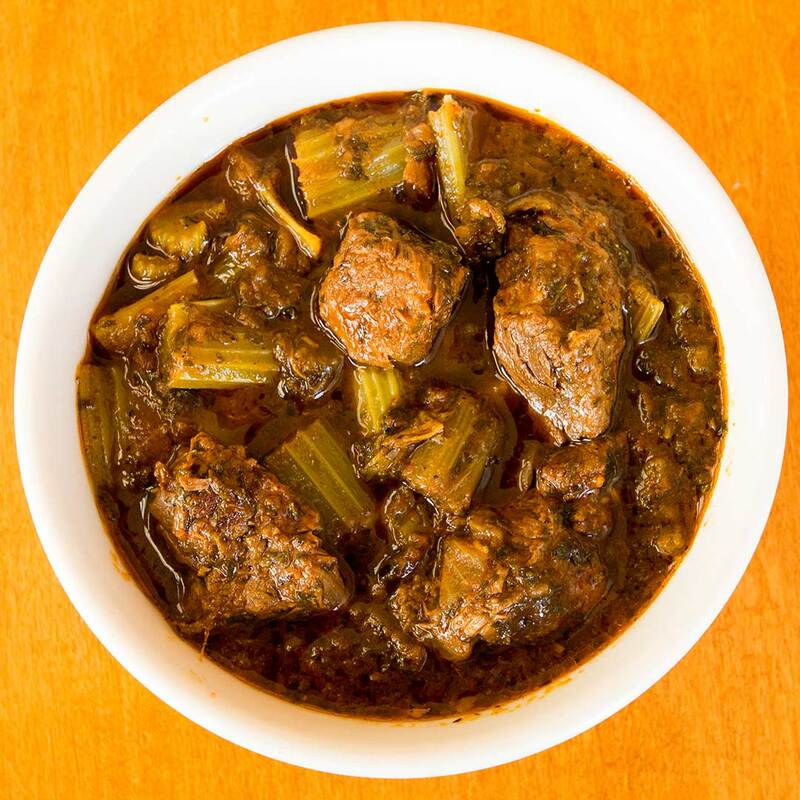 One good way to find out about when we have stews is to subscribe to our email list. Each time a stew is made, an email is sent out.